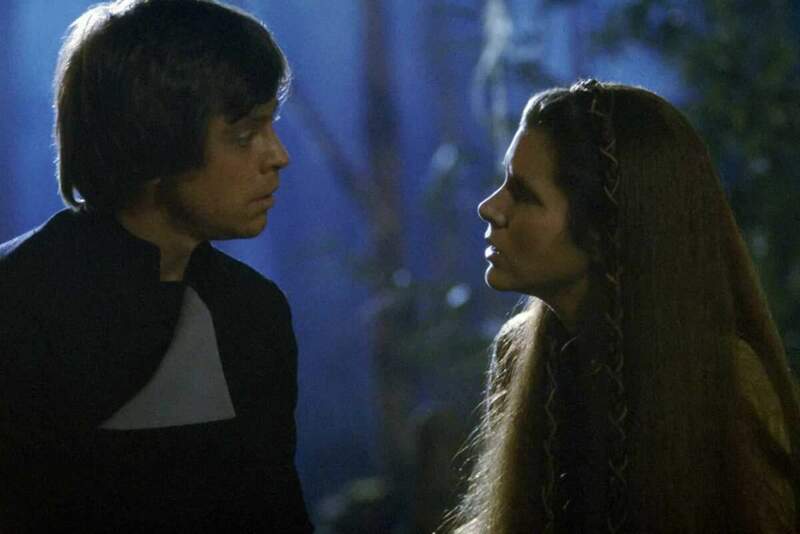 This Is The Real Reason Leia Became Luke's Sister In "Star Wars"
Did you ever find it odd that in one Star Wars film Luke and Leia share and intimate kiss, then in another it’s revealed they are brother and sister. In the case of the space opera, the relationship dynamic between the hero and the heroine might have been a matter of convenience. From the start of the saga, George Lucas had planned nine films. He started in the middle with Episode IV, but had every intention of going back for the first three, then finishing with episodes seven through nine. That plan has happened, with Episode IX coming out this year, but it did not go according to plan. In Lucas’ original vision, Luke still had a sister, but she wasn’t going to show up until Episode VIII. That plan changed when Lucas lost confidence he would get a chance to make more Star Wars films after Return of the Jedi.